Every business wants to get more productivity out of its employees and systems. If you had a team of 12 people, and only four were doing most of the work, you might get rid of the eight who weren’t being used. Of course, before you do, you might try to balance their workload to utilize every available piece of manpower. Proper power distribution is just as important in your data center to ensure high performance every day. Energy efficiency ensures that every piece of your data center is carrying its own weight and doing the most for your organization. Think of a power strip with 12 outlets, in which the strip is divided into three sections. Each section is one phase which distributes power across the strip. If you were to plug in four devices, you might plug them in a sequence. In this simplified example, they would be plugged into one section. Thus, you have one phase bearing the entire power load. A better method would be to plug one piece of equipment into each section, with one section getting the extra plug. This balances the power load across the strip which maximizes efficiency of your data system. When you get even deeper into balancing the exact wattage across the strip, you completely use up all the power that is coming into your system, while adding the most units to your data center. Understanding the power load of your data center keeps you from wasting electricity, which is not only good for your business, but for the environment as well. In today’s business world, it’s just as important to your branding image to be eco-friendly, as it is to be a leader in your industry. Retrofitting or updating your data center to be balanced in its power usage takes your organization forward. Once you’ve set up your data center, you can’t stop analyzing the power load. Every time you add equipment, you should be rechecking the power load.There are a number of tools that you can implement within your system to ensure peak performance and to monitor loads. When you’re dealing with sensitive technology, you need to be proactive. 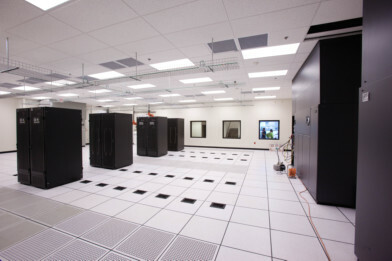 Start with your data center to keep your system operating at its best. Get an energy audit to see how your organization can do better. Your dependence on technology is only going to increase. Update your system now for better performance as you grow.